Finding the best strong>healthcare mutual funds is important, so that you can minimize your risks while maximizing your returns. What are the best funds in this sector though? One is Eaton Vance Worldwide Health Sciences A, symbol ETHSX, which involves both domestic and foreign holdings. This is one of the socially responsible mutual funds that can offer a yield while improving the health field and industry. The minimum investment amount for this fund is one thousand dollars, and the expense ratio is slightly more than two percent. Another of the top healthcare mutual funds is the Fidelity Select Medical Delivery, symbol FSHCX. This fund has an annualized ten year return of more than ten percent. 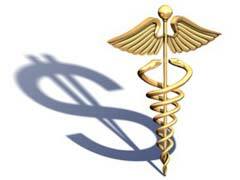 There are some tax free mutual funds in the healthcare sectors, as well as those which are subject to taxes. One fund that really stands out is the Vanguard Health Care Index, symbol VHCIX. This is not one of the healthcare mutual funds that will fit within any budget, because the minimum investment amount is one hundred thousand dollars. Morningstar offers a three star rating for the fund, and many investors recommend it. Low initial investment mutual funds can be found which require very little money to start an account, sometimes as low as five hundred dollars or even less. There are so many different healthcare mutual funds revealed with a quick Internet search that it may be difficult to choose the best ones. Whether you are looking for small, medium, or large cap mutual funds you will find choices within minutes of starting your search. Make sure that you compare each fund thoroughly before making a final decision. This will help you keep your risks manageable, and choose the funds which fit best with your investment goals and acceptable risk levels. The best investments are those that fit with your strategies and desired results.